Omakase Japanese Restaurant is probably one of our go-to places each time we crave something Japanese like sushi. We may try new Japanese restaurants but it seems that we always go back to this place for our random Japanese cravings. Be it Agedashi Tofu or Tofu Furai, these silky soft tofu squares are one of my favorite Japanese appetizers. The Tofu Furai in Omakase comes in six breaded tofu cutlets served with a special tonkatsu sauce. Since we were craving for sushi that night, we ordered for Omakase's SAR Platter which consists of 8 pcs. of Salmon Skin Roll, 10 pcs. American Dream Sushi (my favorite! ), and 8 pcs. Rock n' Roll Maki. This platter of sushi was certainly worth its price. D and I shared this platter equally and surprisingly we managed to leave not a single piece after. It was our first time to try Omakase's Soft Shell Crab Tempura but we weren't quite happy about it. The crabs were very oily and weren't that crispy either. 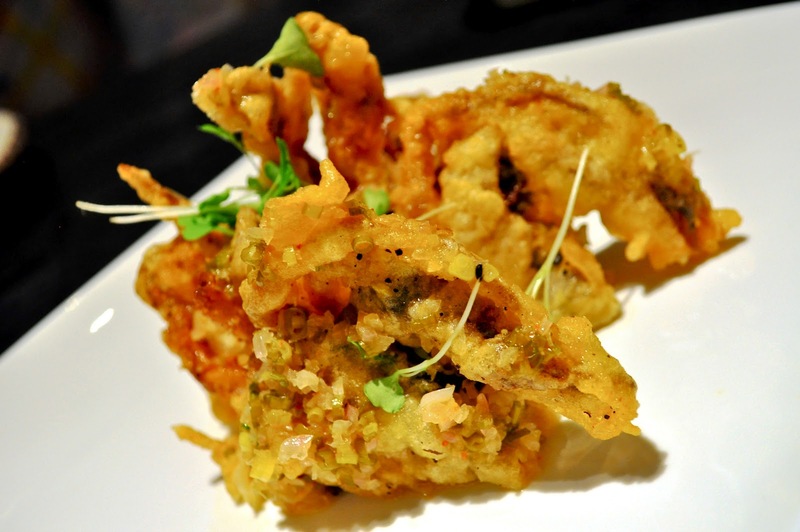 Now I miss Wafu's Soft Shell Crab Tempura. Yum yum. I miss eating here. My first time was in Greenhills. Miss this! Omakase Japanese Cuisine in IL Terrazzo is so delicious you must try it!